Border Collie Australian Shepherd Mix - Will This Be Your New Puppy? Welcome To Our Guide To The Border Aussie. The Energetic, Intelligent, and Affectionate Border Collie Australian Shepherd Mix. When adopting a cross breed, it is important to understand the perks and quirks of each parent breed. Since the resulting pup may show traits of either, or both, in every category imaginable. So let’s check out the important characteristics of both the Border Collie and the Australian Shepherd. To help you get a sense of what you might expect from a Border Collie Australian Shepherd mix. While there are no guarantees with how cross breeds will resemble their parents, knowledge truly is power. We will discuss temperament, trainability, appearance, health and more. Is the Border Aussie mix a good fit for you? Let’s find out! What is a Border Australian Shepherd mix? Generally speaking, a mixed-breed dog is the result of two different pure-breed dogs. Referred to as the “parent” breeds. From personality to energy level, to trainability to appearance, there are several key considerations that should factor in to your decision. This is doubly true when considering a dog that is a mixed breed. The Border Collie and the Australian Shepherd. Individually, both breeds have a rich history as working out on farms and ranches. Helping their owners by, you guessed it, herding. The so-called “sheepdog” has historically been identified as the ideal dog to direct and protect flocks for farmers. 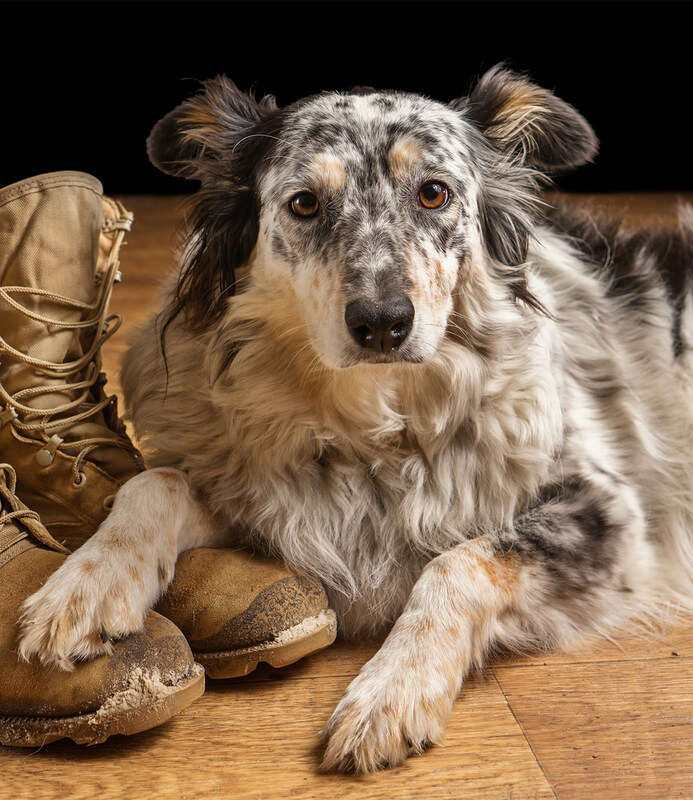 Despite the passage of years since their arrival as working dogs, both breeds still show behaviors clearly tied to their history. Both Australian Shepherds and Border Collies tend to be fairly similar in temperament. Their personalities are closely tied to their identities as “herding” dogs. Both breeds are characteristically smart and bursting with energy. As a result of this combo, both types are often described as “work oriented,” even “workaholics”! For both of these natural herder-types, one cannot speak about temperament without energy levels. Both breeds have the energy to work and play hard, and enjoy doing so. When not provided a sufficient outlet for their energy, a Border Collie Australian Shepherd mix will become bored and frustrated. This can be expressed in destructive behavior around the house. Both Border Collies and Australian Shepherds thrive emotionally and mentally when their instinctual drives to herd and work are met. They also thrive in a home where there is someone around all day, who has time for regular interaction. Proper exercise for a Border Collie Australian Shepherd mix is arguably one of the most important considerations before adoption. As stated earlier, both parent breeds are defined by their high energy levels. Border Collies and Australian Shepherds share a daily need for exercise beyond a walk in the park. These striking features lend themselves to the reality of a breed that requires a near tireless owner. One that can keep up with their canine companion. This breed is not ideal for homes who are not interested in keeping active. It should be a deciding factor in pursuing a Border Collie Australian Shepherd mix. They need to be given plenty of other stimulation both mental a physical. Agility, fetch, sporting dog training and flyball are great choices. When considering a Border Aussie mix, these ideas can be used as a jumping-off point for a healthy, happy lifestyle. Fortunately for prospective dog owners, Border Collies and Australian Shepherds are considered to be easily trainable. Obedience training is, generally speaking, a crucial part of owning a dog. The idea itself may seem daunting, conjuring up images of frustration and anxiety on your part. That being said, easy trainability does not mean training can be skipped altogether. When working with any new pup, training has a lasting impact of their future behavior. It is also vital to keeping your Border Collie Australian mix from getting bored. Use only positive reinforcement training with these super clever dogs, and they will reward you with a strong bond and great companionship. But what about their appearance. When it comes to sizing, Border Collies and Australian Shepherds both fall into what is considered the “medium” part of the overall range for dogs. Border Collies typically run 19-22 inches for males and 18-21 inches for females. In terms of weight, males range 30-45 pounds, while females typically place within the 27-42 pound range. Australian Shepherd males usually stand 20-23 inches tall, while females range 18-21 inches. In weight, males are generally within 55-70 pounds, while females range 35-55 pounds. When it comes to the Australian Shepherd, coats tend to be fairly predictable. They typically have thick, medium length coats, in black, blue merle, red merle and red with or without white markings. That might sound like a lot, but that’s nothing compared to the variety of coats possible for Border Collies. They share some of the same color possibilities as Australian Shepherds, such as black, blue merle and red merle. But also have a number of others, such as white and red, white and black, sable and others. Depending on length and thickness, different types of dig coats require different types of care. For the Australian Shepherd, a slicker brush to manage its thick, medium length coat. Border Collies may require a pin brush instead. Your Border Collie Australian Shepherd mix could be either. One commonality between the breeds is that proper grooming is crucial in managing their active outdoors lifestyles. Australian Shepherds are recommended to have an “occasional” grooming schedule, while Border Collies should be groomed on a weekly basis. Regardless, they both need proper care from a loving owner to make sure the great outdoors stays outdoors. Both breeds receive the general recommendations for dog care. Such as consistent nail trimming, checking ears to avoid infection, and brushing teeth regularly. Such suggestions will certainly be a consideration for a mix-breed as well. Meeting the mixed-breed pup’s parents may help eliminate some of this seeming chaos in coat appearance and consistency outcomes. But this is arguably the area with the most differences between Border Collies and Australian Shepherds. 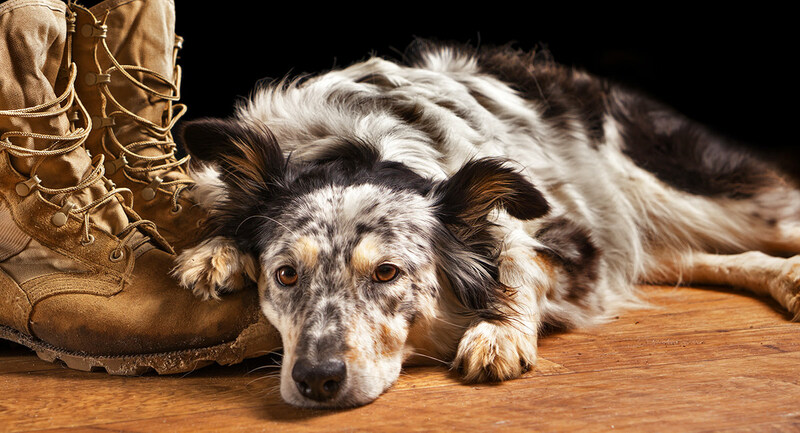 When it comes to Australian Shepherds and Border Collies, there are several common diseases to watch out for. Australian Shepherds are prone to thyroid disease, cancers such as hemangiosarcoma and lymphoma, cataracts, elbow dysplasia, and epilepsy. Border Collies are considered healthy in general, but there are several diseases to watch out for. Similar to the Aussie, they are prone to hip dysplasia and epilepsy. They can also be prone to deafness, especially those with the merle gene. Additionally, both are susceptible to Collie Eye Anomaly, an eye disease attributed to other similar breeds. Proper testing of the parents should be done, to hopefully rule out any offspring’s exposure to these common, serious diseases. Both Border Collies and Australian Shepherds can carry the merle gene. This has been linked to hearing and vision problems. Double merle puppies, those from two merle parents, can be blind, death or even born with no eyes! For this reason breeders should never put two merle dogs together, even from different parent breeds. The lifespan of Border Collies and Australian Shepherds tend to fall within a similar range. For the Australian Shepherd, the average life expectancy is 13 to 15 years. For the Border Collie, the norm is 13.5 years. As the Border Collie Australian Shepherd mix is the offspring of these two breeds, you can expect the mix to fall within this general range. If you’re considering a Border Aussie mix, a puppy may be the best way to go. You can have full oversight of training your Border Aussie, providing the best chance to thoroughly develop an affectionate, trusting relationship. And having fun with a pup likely to be a highly intelligent and eager learner. When considering a breeder for a Border Collie Australian Shepherd mix, make sure you are as thorough as possible when getting all the essentials about the mix’s parents. Both Border Collies and Australian Shepherds have shared possible disease susceptibilities. Make sure your breeder provides proof of low hip and elbow scores, as well as a clear eye test carried out less than a year ago. This is as a minimum. 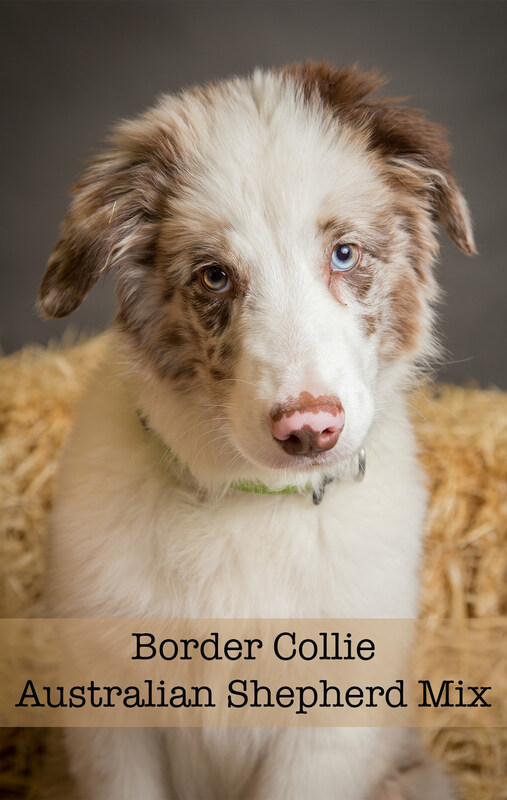 With the Border Aussie mix, you’re likely to find a pup that shares the energy, affectionate, intelligence and trainability of the Border Collie and Australian Shepherd. This gives you more time to be thorough with regards to the puppy’s health. Is a Border Collie Australian Shepherd Mix Right for Me? Mixed breeds in general are a toss-up in terms of what to expect with traits. Personality, energy levels, trainability and appearance can vary. Fortunately, both Australian Shepherds and Border Collies share many defining traits. In comparison to other mixed-breeds, these commonalities will give you some sense as to what you may expect. Are you ready to buy or adopt a dog with a propensity for near infinite energy reserves? High intelligence, affection, eager trainability and work drive? If so, the Border Collie Australian Shepherd mix may be just what you are looking for. Derry, Margaret. Bred for Perfection: Shorthorn Cattle, Collies, and Arabian Horses Since 1800. Baltimore, MD: The Johns Hopkins University Press, 2003. Strain, GM et al 2004 Deafness, prevalence and pigmentation and gender associations in dog breeds at risk. The veterinary journal. Looking for an Aussie/Border collie mix puppy in vicinity of Ithaca, NY. We made the mistake of having two Border Aussies that were very close in age. James, died at almost 15 years old this July and Boon is close to 16 years old and has lymphoma. While she is in good spirits we do not count on her making it very many more months. Farm is about 40 acres with a herd of meat goats, hay fields and woods. Dogs do chores with us twice a day and help herd goats to and from their rotating pastures. Rest of the time dogs have run of the house. Looking for an affectionate dog who loves human companionship and likes to work with livestock but do not need a workaholic. Short hair would be a nice change but not expected. Hello, We are looking for a Border Collie / Aussie Mix. We live in Grass Valley, Ca. I’m looking for a Border Collie/Australian shepherd mix female for sale. I would love to find a blue merle with blue eyes. I just purchased a farm and need help with the animals and z companion for myself being a retired single Male . If anyone knows where I can locate one within 300 miles of Springfield Missouri, please let me know. Looking for a female Border Collie/ Aussie Shepard /Golden Retriever mix. I live in New Mexico. We lost our wonderful Dweezil last week to a cancerous nasal tumor. He was only 7 years 11 months old and was absolutely the smartest and largest aussie border you’ve ever seen. You can see him on Facebook at Dweezil Claymont Eichenlaub. We are searching for another aussie-border puppy to love. I know we can never replace Dweezil but we owe it to another dog to give a good home. It has to be a pup as we have two small grandchildren and I would want to have a puppy so as not to run the chance of a larger dog harming them before he would get to know them. I’m looking for a Aussie border collie cross, female near Sacramento Ca. Anyone know of any available? Hello my name is Nicolette! Thank you for the information. I am also looking for a border aussie mix dog and live in San Francisco. If anyone knows one in or near California I’m willing to travel to get one. I have a border collie mixed with a Australian Shepard he looks just like a border collie. He is 5 and a half months old what is the best food to get Jack I am feeding him Redford grain free lamb and sweet potato. What’s is bests for him. I’ve had 3 borders (one is my current girl) and one awesome miniature aussie. Would so love to have a female border aussie for a companion for my now only dog, the 4 or old female border. Our 14 year old precious border boy just died a few was ago …. Where to find a border aussie in Colorado? Sorry to hear bout your dog Beth. I brought in a pup for Lady, a 2yr old B.C. She did not like that at all. She was very jealous. Ultimately it had quite an effect on Rance, an Aussie. She dominated him severely an made it very difficult to train him. Most of what he learned was from her. Even 2yrs later he doesnt listen well to me. Just a thought for you when considering. I’d like to get one of these dogs. I had one for 14 years, & he passed away. I have a horse farm, & miss him. Any ideas where I can find one around Michigan? My family just lost our Aussie border collie blue Merle and are looking for the same type of breed. Any help would be appreciated. Great story and info on Border Collie Aussie mix’s. I know someone who adopted a pup, but now cannot care for it due to work hours. He probably should not have adopted this dog. Myname is Christophe, I lives in Hesperia CA and I am looking exactly for this breed. Twenty years ago I had a brother and sister they were the greatest dogs. Do you know a breeder in Southern California? Thank you very much for your very informative site. My red merle and white aussie border collie mix female (Peanut) has been missing since August, I miss her terrilbly and only the same breed will do, except for finding Peanut of course.